With 3 decades of experience moulded into world-class healthcare expertise, Intas is today one of the leading global pharmaceutical formulation development, manufacturing and marketing companies headquartered in India. Intas strives to learn and lead with a steadfast commitment to provide efficient and affordable health to all. 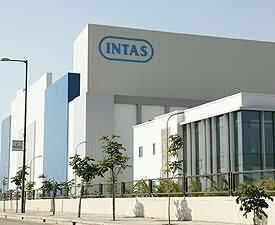 At Intas, everyday and everyone builds to create a world of good health, happiness and hope.